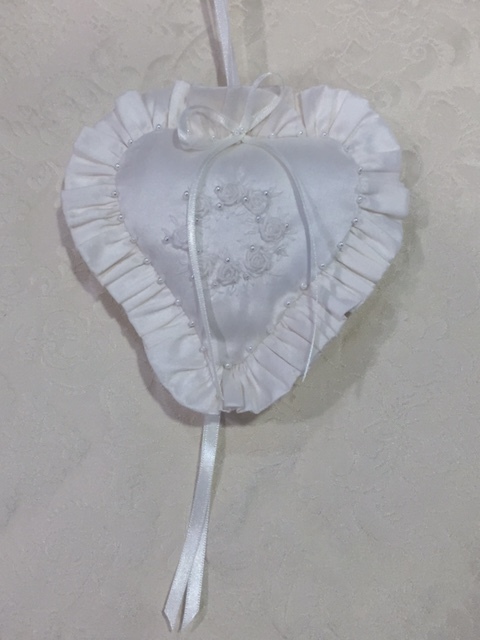 These stunning bridal hearts are designed to be carried by the bride in her bouquet or over her arm as she walks down the isle. 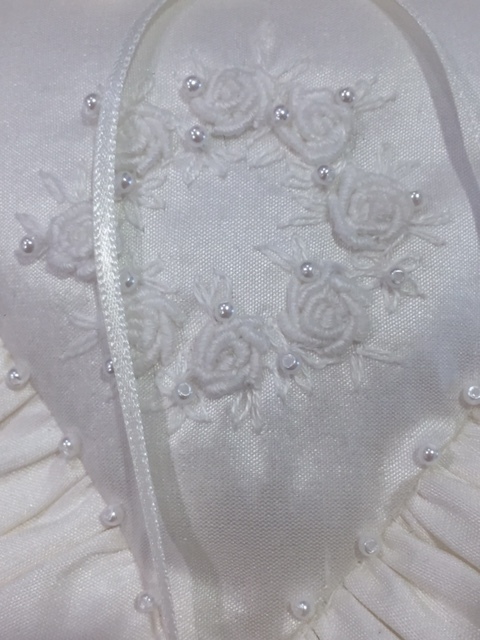 Entirely handmade out of ivory silk with pearl bead embellishments and white embroidered roses. 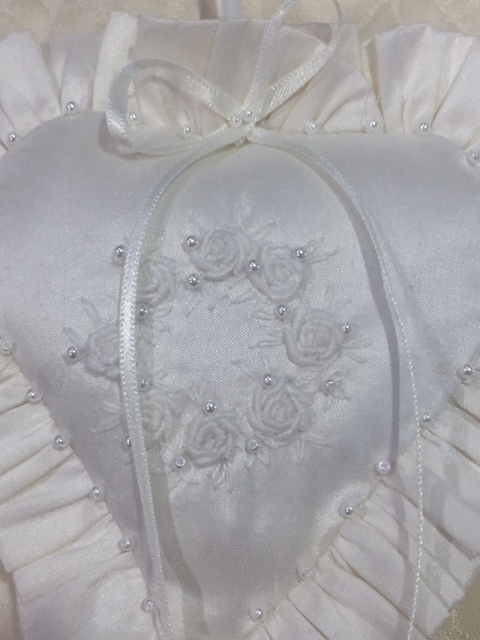 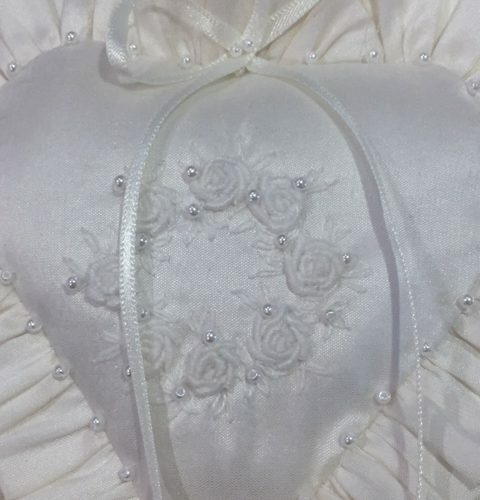 The embroidered roses are designed so that they create a circular wreath on the front of the heart.